A control panel at the Navajo Generating Station. Football-field-length conveyors constantly feed it piles of coal, hauled 78 miles by train from where huge shovels and mining equipment scraped it out of the ground shortly before. Then, like a medieval mortar and pestle machine, wheels crush the stone against a large bowl into a smooth powder that is sprayed into tremendous furnaces — some of the largest ever built. 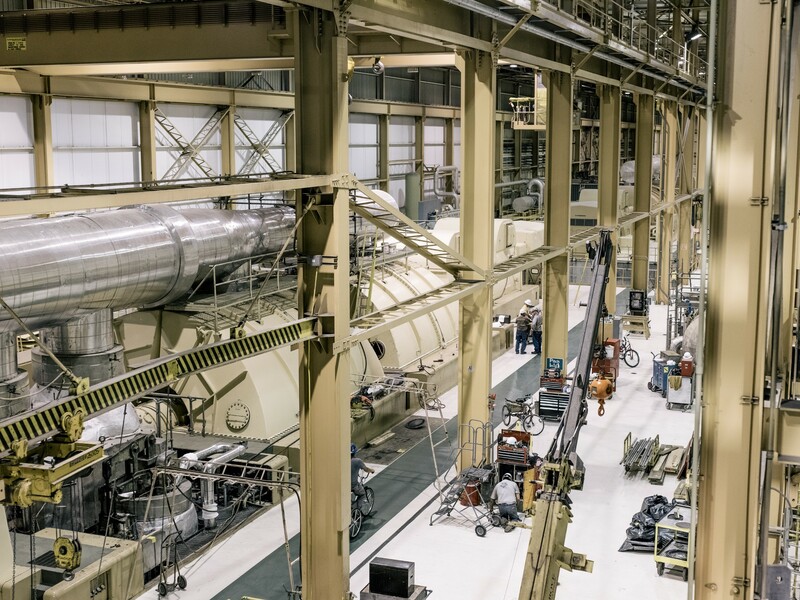 Those furnaces are stoked to 2,000 degrees, heating tubes of steam to produce enough pressure to drive an 80-ton rod of steel to spin faster than the speed of sound, converting the heat of the fires into electricity. The power generated enables a modern wonder. 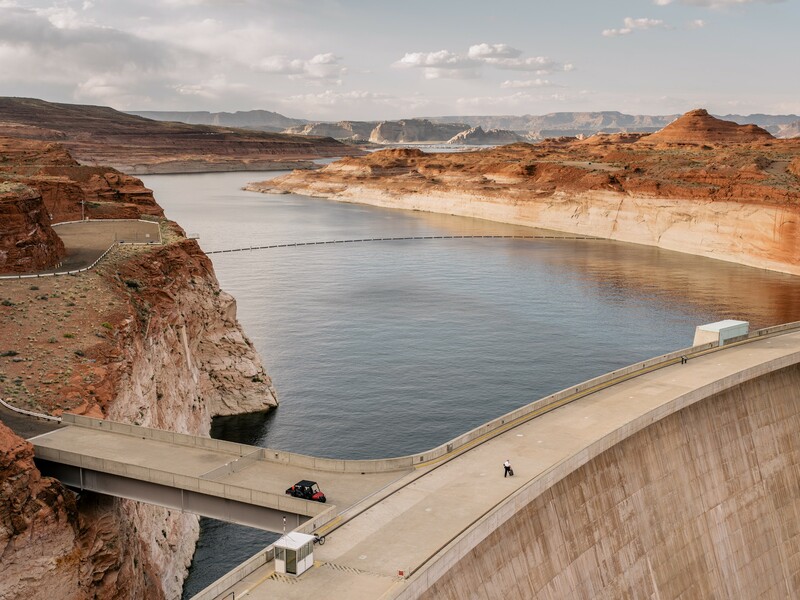 It drives a set of pumps 325 miles down the Colorado River that heave trillions of gallons of water out of the river and send it shooting over mountains and through canals. That water — lifted 3,000 vertical feet and carried 336 miles — has enabled the cities of Phoenix and Tucson to rapidly expand. At sunrise, a reddish-brown snake slithers across the sky as the burned coal sends out plumes of carbon dioxide, nitrogen oxide, mercury, lead and other metals. That malignant plume — containing 16 million tons of carbon dioxide every year — contributes to causing the very overheated weather, drought and dwindling flows of water the plant’s power is intended to relieve. Its builders knew that the Navajo Generating Station, which began being constructed in 1969, would cause enormous pollution. An early government analysis warned that burning so much coal would degrade the region’s air by “orders of magnitude,” and federal scientists suggested Navajo and other coal plants in the region could turn the local terrain into a “national sacrifice area.” But for more than a decade, the pollution went largely unchecked. Climate change wasn’t yet a threat, and the other option for getting water into central Arizona — damming the Grand Canyon — seemed worse. It was with awesome feats of engineering that the West was built. 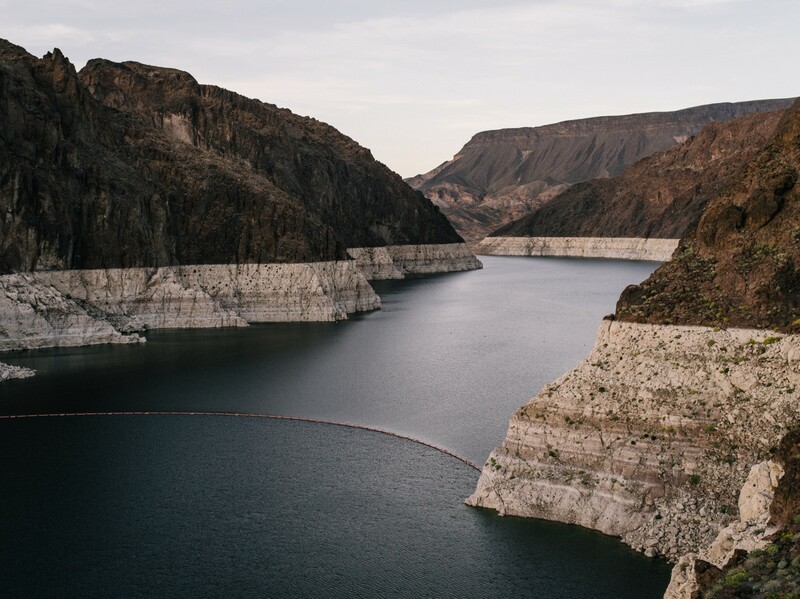 To settle a vast, inhospitable region that lacked water, Americans harnessed the Colorado River — which tumbles 1,450 miles from the boulder-strewn flanks of the Rockies to the Sea of Cortez — and daringly used it to remake one-fifth of the country. The capacity to control a river — to tame its floods, to store its water so that it can be used even in drought and to displace it so that it can be streamed through the landscape for irrigation — is one of the greatest engineering advancements in modern civilization. The Glen Canyon Dam on Lake Powell. 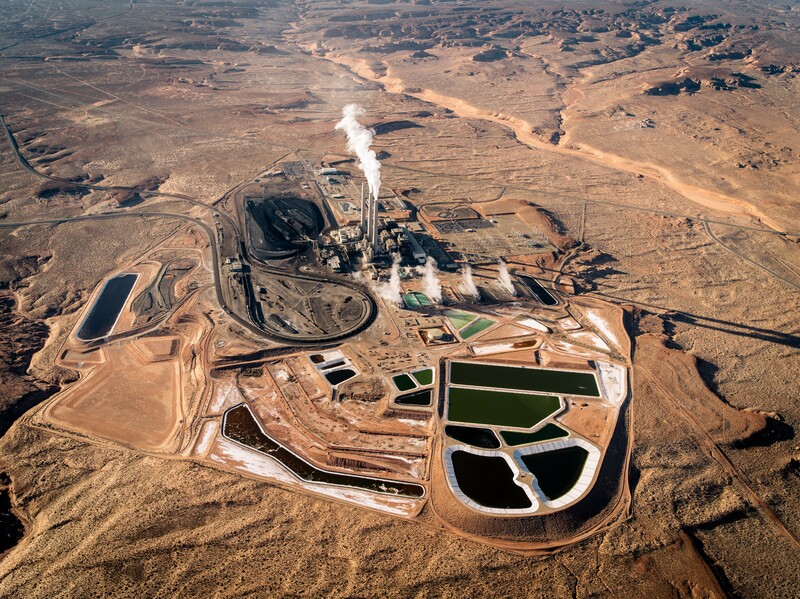 It is not only the Navajo Generating Station — aging, polluting — that is so troubled. 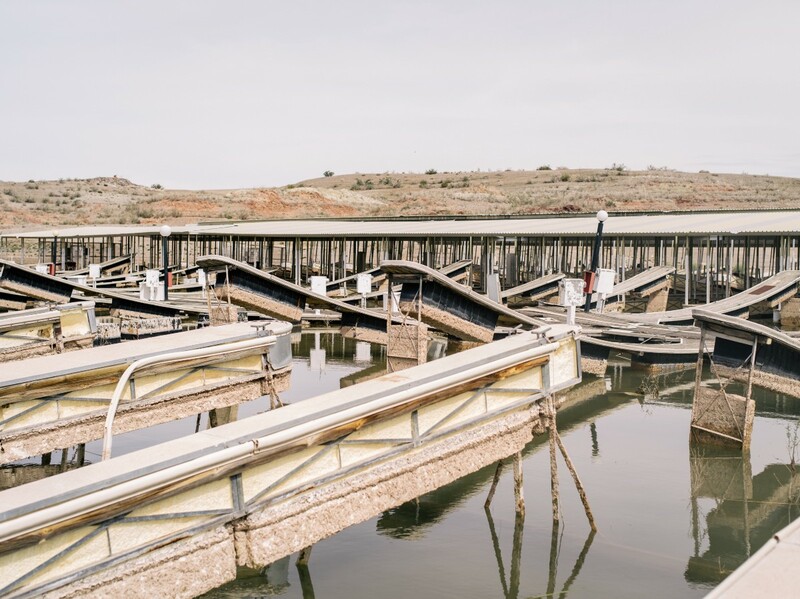 Many of the most significant pieces of infrastructure lose water, no longer function the way they were designed to as water levels drop, or have required hundreds of millions of dollars in fresh investments. Lake Mead near the Hoover Dam. It’s that the reservoir leaks like a sieve. As much as 123 billion gallons of water — 2.6 percent of the annual flow of the entire Colorado River — likely seeps into fissures in the porous sandstone underlying the lake and disappears each year, according to a 2013 study. Another 168 billion gallons evaporates off the surface annually, as the sprawling lake bakes in the arid desert climate. 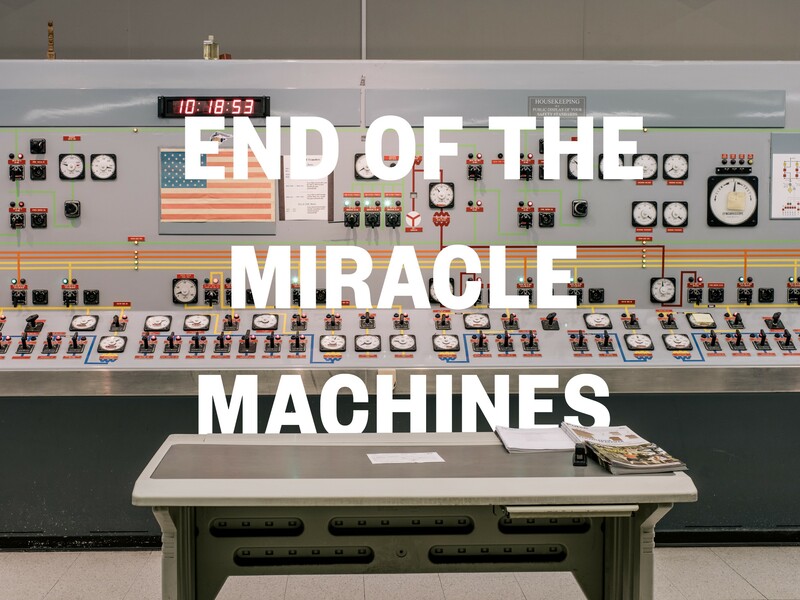 A facility whose central purpose is to save water instead loses a mind-boggling amount of it. 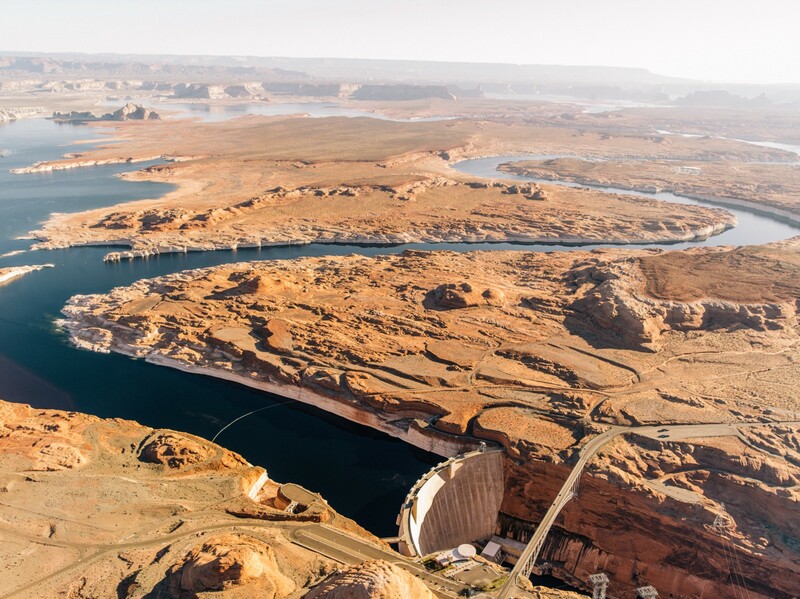 Were Lake Powell to go away, the American Southwest would have approximately 6 percent more water overnight. 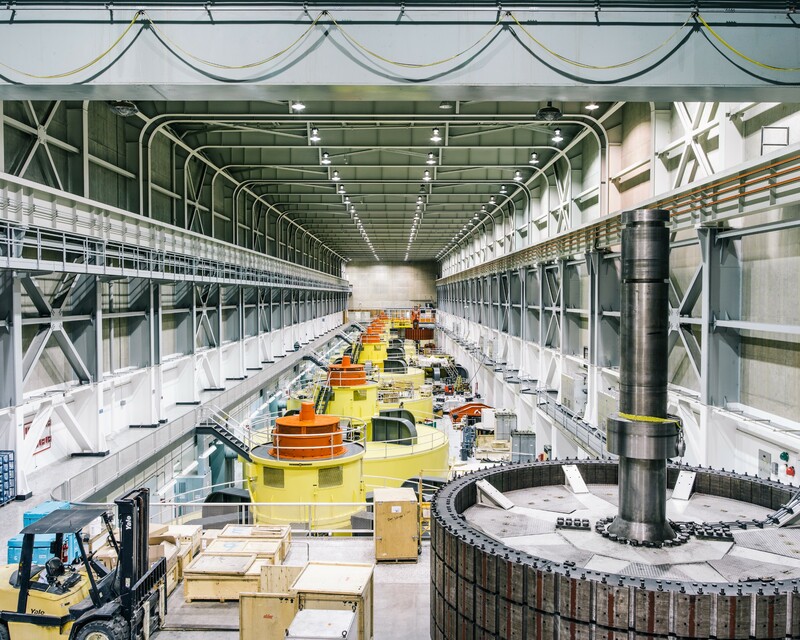 The turbine room at Glen Canyon Dam. An abandoned portion of the Echo Bay Marina on Lake Mead. Powell, reporting afterward, told Congress about a bifurcated landscape: a river gushing and abundant, but relatively inaccessible, surrounded for hundreds of miles on all sides by a desert so devoid of rainfall and moisture that it almost certainly could not alone sustain efforts to grow food from its soil. “Many droughts will occur; many seasons in a long series will be fruitless,” he cautioned in a dour report. If one were to try to irrigate the desert, Powell warned, the infrastructure and facilities needed to do it would be so enormous and costly that only a large collective effort — like from the government — could pay for it. 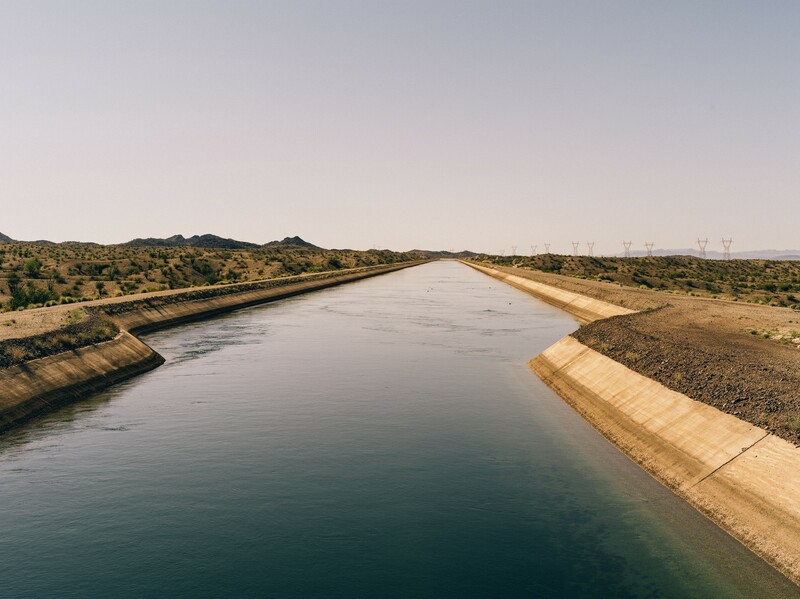 What Arizona wanted was a mega-canal — an artificial river that would pump one-tenth of the Colorado’s flow out of Lake Havasu, send it upward nearly the height of the Chrysler building and halfway across the state. The state’s business leaders didn’t just yearn for water. They envisioned their own thriving metropolises, kept cool in the scorching desert with air conditioning, lit bright and speckled with verdant golf courses and retirement villas. Such a vision would be possible only with lots of cheap power. Coal reserves at the Navajo Generating Station. The Central Arizona Project canal just south of the Parker Dam and Lake Havasu. How the Navajo plant and Arizona’s water canal would pay for themselves, though, was based on a financially complex scheme, and everyone — from the federal government to Arizona’s water and power companies — had a stake. Almost none of it worked out as planned. Most simply put, the Navajo plant — and all the pollution it caused — became a form of subsidy for cheap water. The Arizona authorities charged with selling the water in order to repay taxpayers scrambled for years just to break even, and their debt payment schedule to federal authorities is still significantly delayed. 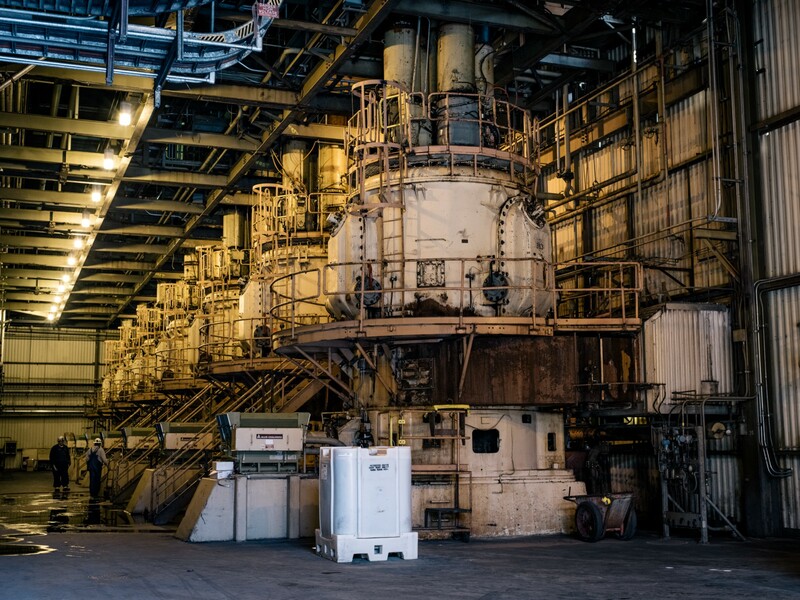 The EPA tried to clean up the site in the 1980s after environment groups sued — pressing for controversial emissions limits and forcing the plant, a decade later, to install expensive smokestacks that sharply reduced sulfur dioxide. But it wasn’t enough. 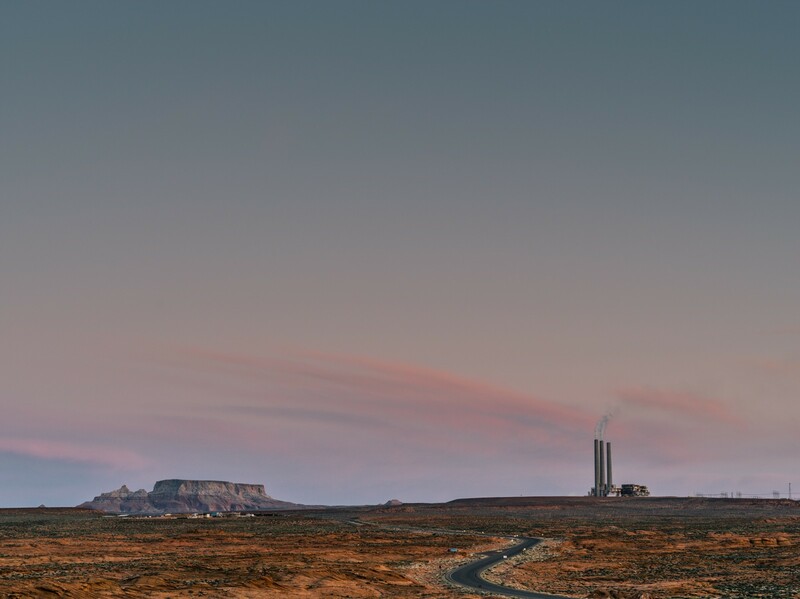 The remaining problem was largely due to thousands of tons of nitrogen oxide that Navajo and other coal-fired plants still spewed into the atmosphere, pollution that wasn’t caught by the enormous filters installed to catch sulfur dioxide a few years before. The agency finalized a regional haze rule that aimed to restore all polluted areas — not just northern Arizona — to natural background levels of pollution. But Navajo, because it was so close to the Grand Canyon and other prized parks, would face some of the most stringent cuts. 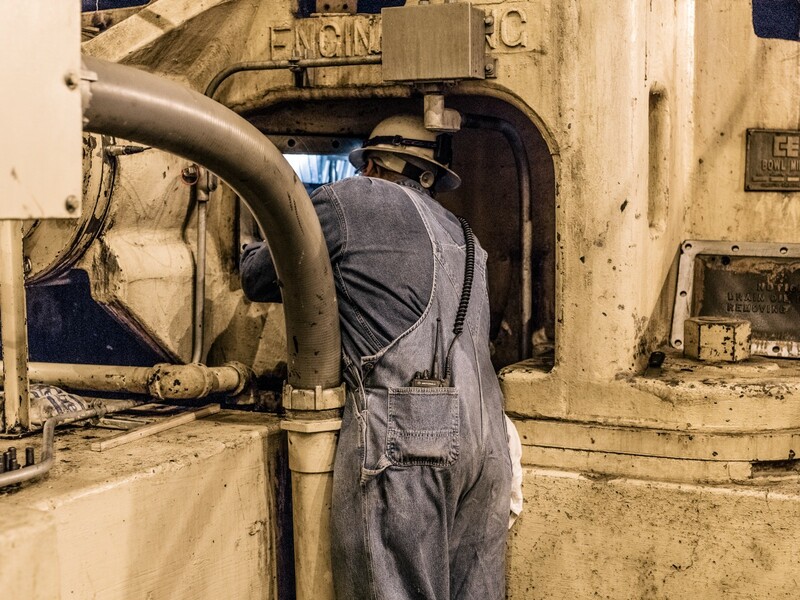 A worker servicing coal crushers at the Navajo Generating Station. 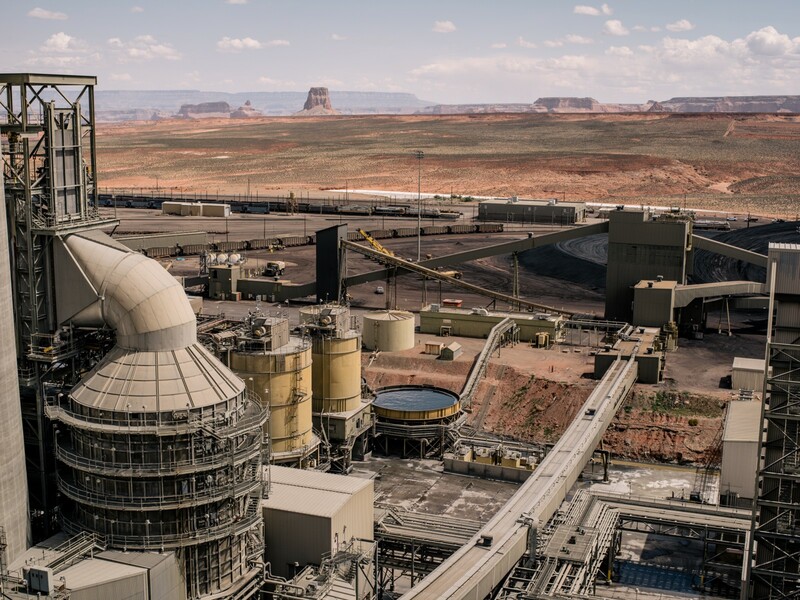 But in pushing for dramatic changes at the Navajo plant, the EPA underestimated how intertwined the plant had become with every aspect of life in the region — from providing its power to moving its water to buttressing the tribal economy. 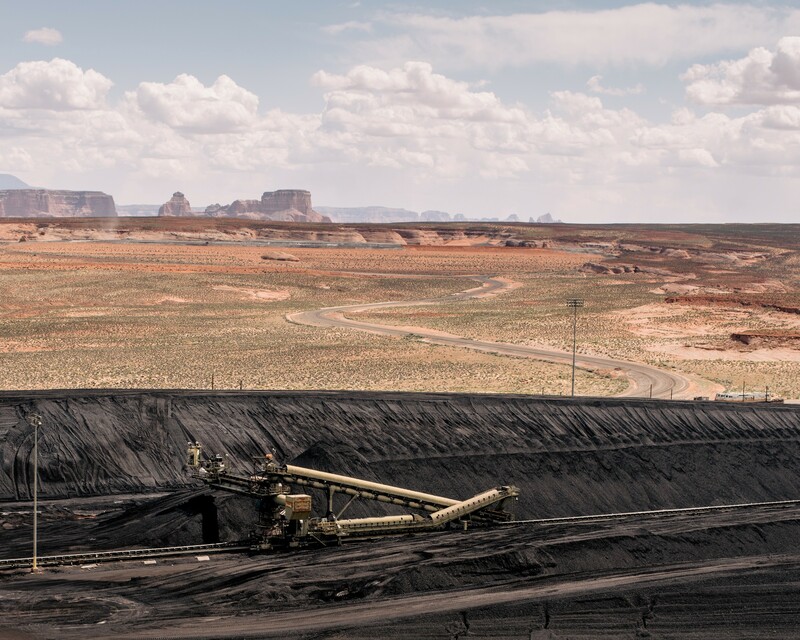 Coal crushers at the Navajo Generating Station. 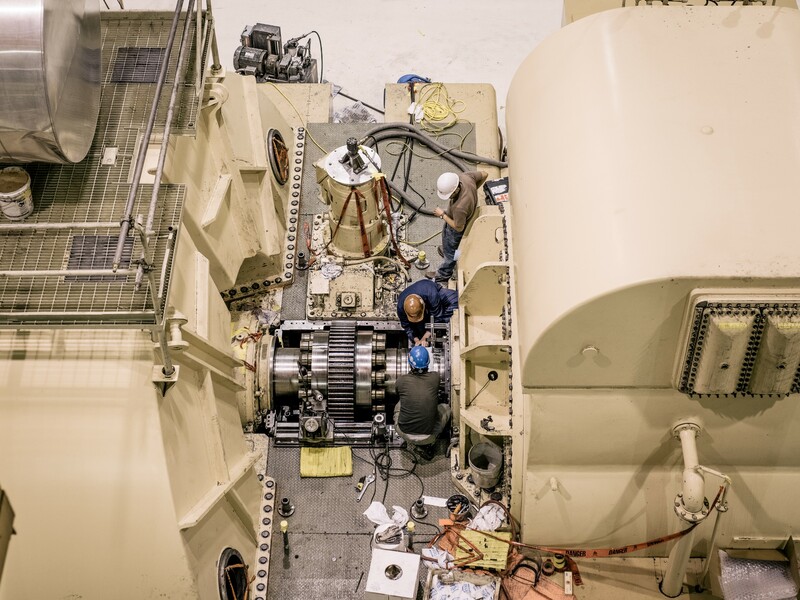 Above: one of the turbines at the Navajo Generating Station during the annual overhaul; below: one of the turbine rooms. He calls the plant “Big Iron,” a nod to its central role in providing power to an entire region from a single plant. “We’re one of the cheapest suppliers of energy,” he said proudly. The coal is good quality, inexpensive and practically bottomless, he said, pointing down to a yard where miniature-looking trains pull up to the endless conveyors. It’s been moving like that every day for 40 years, he said, like a giant machine. And he thinks — though the feds estimate far less — that there’s another 200 years’ worth under the reservation. Train cars and coal reserves outside at the Navajo Generating Station. Some have proposed building a pipeline to route water 700 miles from the Mississippi River — or from its tributary the Missouri — to Colorado. Such a pipeline, like Arizona’s canal, would likely require yet another power plant to make it work. Others suggest towing icebergs down from the Arctic or filling tankers from Alaska’s rivers. Continue the conversation with “Water Talk” on Medium. Abrahm Lustgarten has reported on energy, water, climate change and anything else having to do with the environment since 2008. ProPublica is an independent, non-profit newsroom based in New York City that produces investigative journalism in the public interest. Follow them on Mediumfor more conversation on the drought crisis or visit their website for an interactive map of the Colorado River. Reporter on all thing Energy, Water and Environment at ProPublica. Lover of snow and trail. Author.